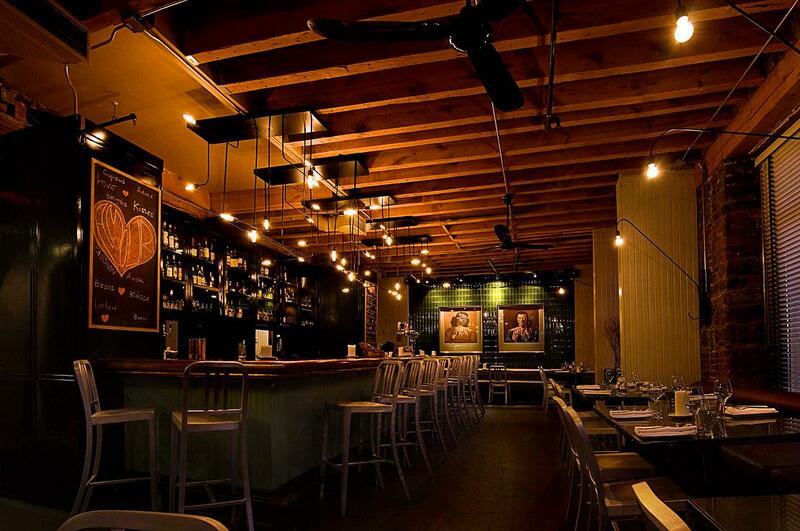 I was invited for a 5@7 a couple of weeks ago to try the menu at Restaurant Communion in the Old Port. If you’ve never been the restaurant as a nice modern touch in the decor that matches well with the old building. The restaurant as a capacity of 70 inside and 72 on the terrasse. As we got there we got a table on their terrasse and enjoyed the breeze on warm day while over looking the port and de la Commune street. After trying one of their signature drinks The Great Atsby, a drink made of Vermouth Atsby, Maker’s Mark, lavender infused honey and orange essence. 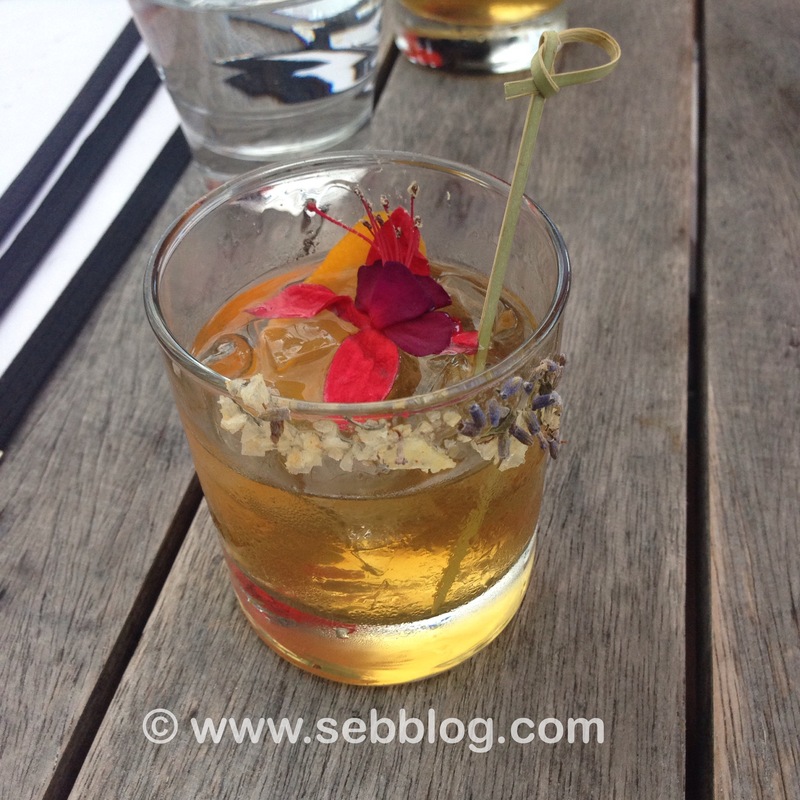 The drink was good but I’m more of a classical Old Fashioned type when it comes to drinks. We then headed inside as rain came to ruin our party. Luckily they had tables available inside and we could continue our evening. Communion has a good wine selection so we ordered a bottle. 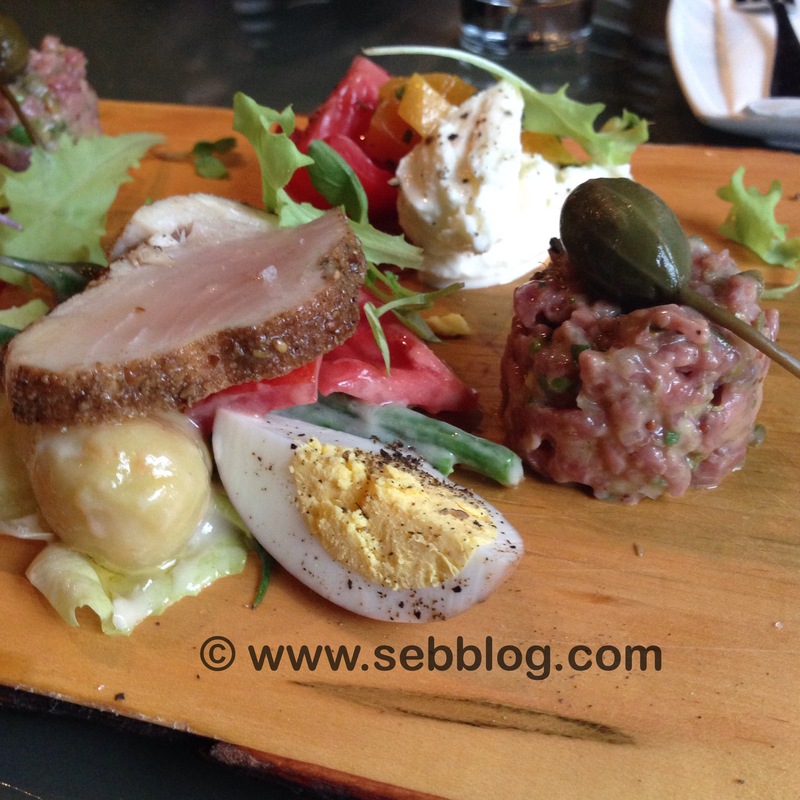 We were then brought a sample platter of Beef Tartar, Quebec Buffalo Mozzarella and Albacore Tuna Nicoise Salad. The tartar tasted good, not too much spices so you can still taste the meat. I have to say that it was chopped a little big for my taste, but that’s more a question of choice. The mozzarella had an interesting texture and taste, I will always have a problem forgetting the ones I had in Italy and get very picky, but since the restaurant uses local products I enjoyed it . I’m a fan of tuna so a salad Nicoise with Albacore tuna would have been one of my choices, I liked it as the tuna was seared just as I like it but I should have taken the dressing on the side. 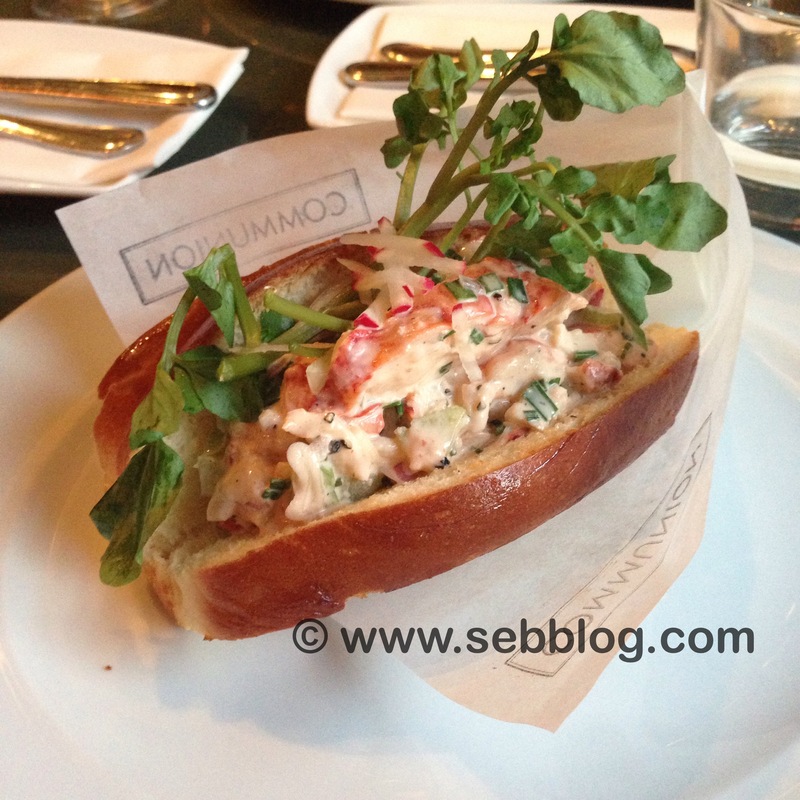 After tasting this menu we decided to also try the Lobster Roll, half a lobster with mayonnaise and shallots. There was not too much mayo so you could really taste the lobster. My friend had hers with mayo on the side and a little lime and the staff was accommodating to make it happen. Presentation on all the food and drinks was excellent and the ambiance on a Thursday night with a live DJ was also fun.